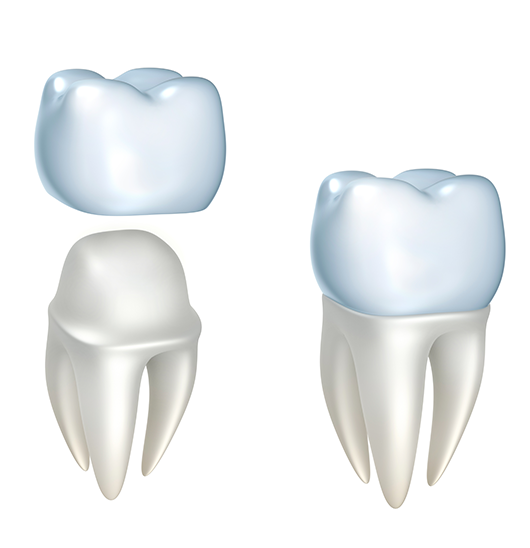 Much like the name says a crown is a cap like structure that goes over the top of an existing tooth, to either protect or enhance a specific tooth that is decayed or eroded. They can be made from a variety of materials, and are usually custom made for each patient’s exact tooth after a doctor takes an imprint or scan of the tooth where it will be placed. This way it fits perfectly when its bonded or ‘glued’ to your tooth.